Pinal Energy LLC in Maricopa, Ariz., is back online after being down for the past year and half. Improvements made during the facility's downtime have allowed it to restart at 60 MMgy of capacity, up from 50 MMgy. Aemetis Inc. has released its 2013 financial results, reporting revenues of $177.5 million. The company said it has been consistently operating its Keyes, Calif., plant above nameplate capacity since improvements were completed in May 2013. Green Plains Renewable Energy Inc. has announced its Otter Tail ethanol plant restarted production on March 16. The 60 MMgy facility located near Fergus Falls, Minn., was temporarily idled after a March 10 fire. Report: Biofuels, other factors to lower fuel demand in Calif.
Bloomberg New Energy Finance has published a new white paper that highlights the impacts of the renewable fuel standard (RFS), California Low Carbon Fuel Standard, and new fuel efficiency regulations on California's gasoline market. Lesaffre is proud to announce the launch of Lesaffre Advanced Fermentation Technologies (Leaf Technologies), which will focus on the value-added fermentation solutions for fuel ethanol and bio-based chemicals producers. Hydro Dynamics Inc. has announced that a ShockWave Power Reactor was purchased and installed in a commercial cellulosic pilot plant in Italy. The SPR was purchased after successful lab testing on extraction of cellulose from corn fiber and straw. Corn prices are likely to remain around $4 per bushel over the next decade and ethanol production will remain flat, according to an analysis released by the Food and Agricultural Policy Research Institute at the University of Missouri. 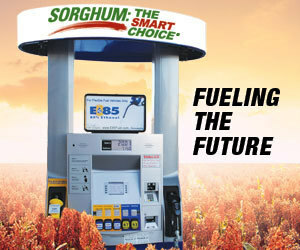 E15 now available in Cambridge, Neb. Anew Travel Center in Cambridge, Neb., now offers E15 to consumers for use in 2001 and newer vehicles. The expanded offering of E15 will create savings at the pump for consumers. The fuel blend is currently offered by retailers in 14 states.